An old friend asked me the other day how my allotment was going and it made me stop and think. I’ve had my city allotment 18 months now and I just chip away when I can. Obv having 3 kids and the little one being only 22 months is challenging but they do help when they can (sometimes with pocket money bribes!) and I bring them home yummy things like the homegrown potatoes above. 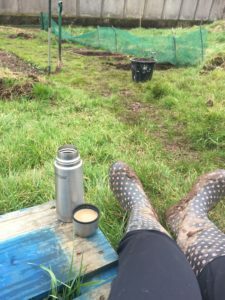 Working an allotment is also incredible for your mental health. I got my ‘lottie’ a couple of months after my mum died so it’s been quite therapeutic really. I often say it’s my haven and that the allotment and my weekly netball game are the things that keep me sane. 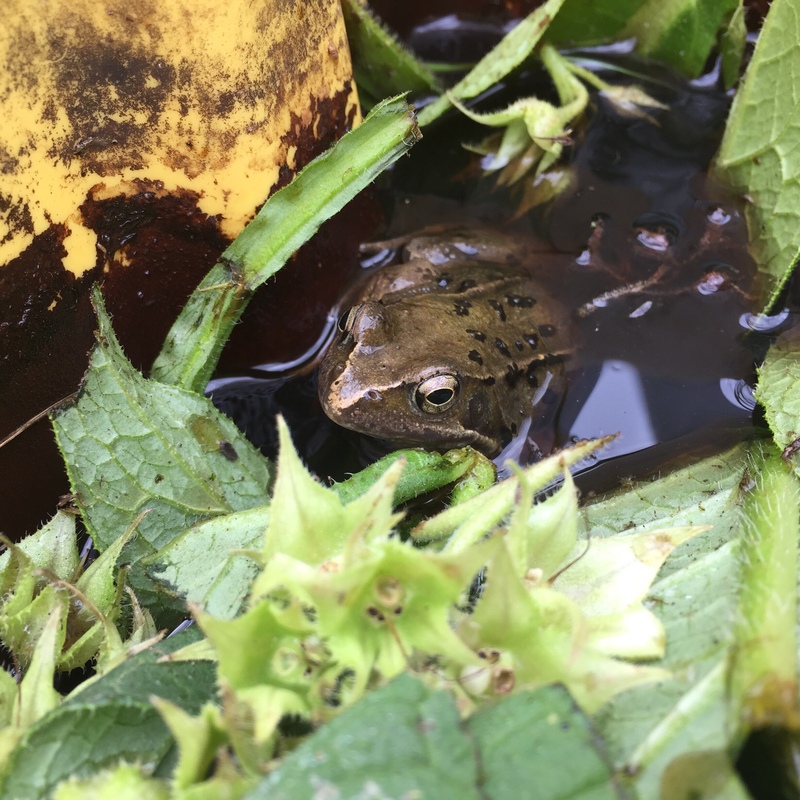 I also get to be close to wildlife like this little frog visitor I snapped above from a couple of weeks ago. 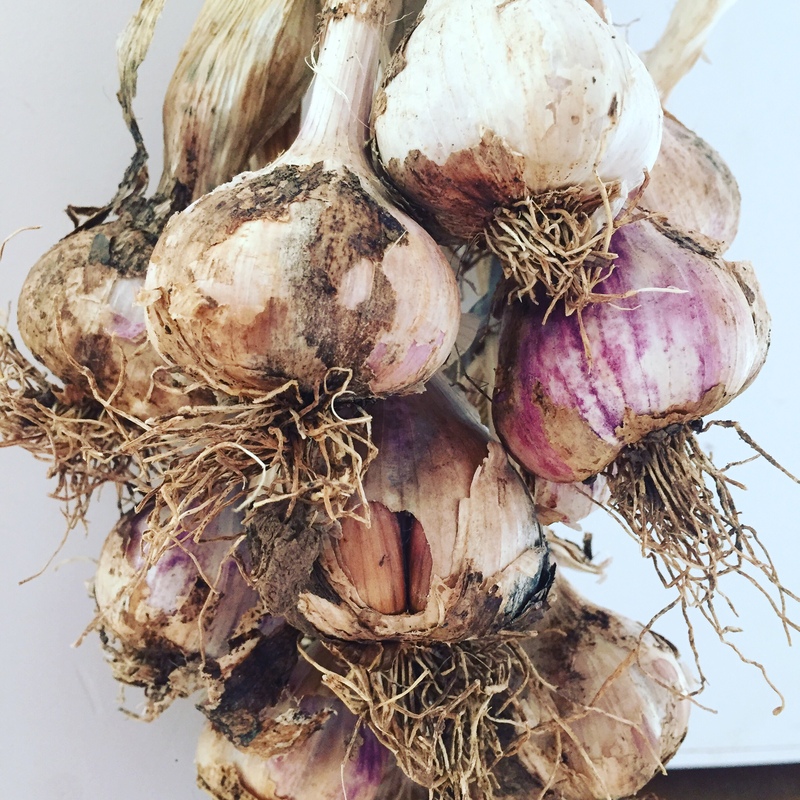 I think most people who love gardening would agree there’s something incredible about having your hands in the earth and such a sense of satisfaction growing delicious produce from tiny little seeds. 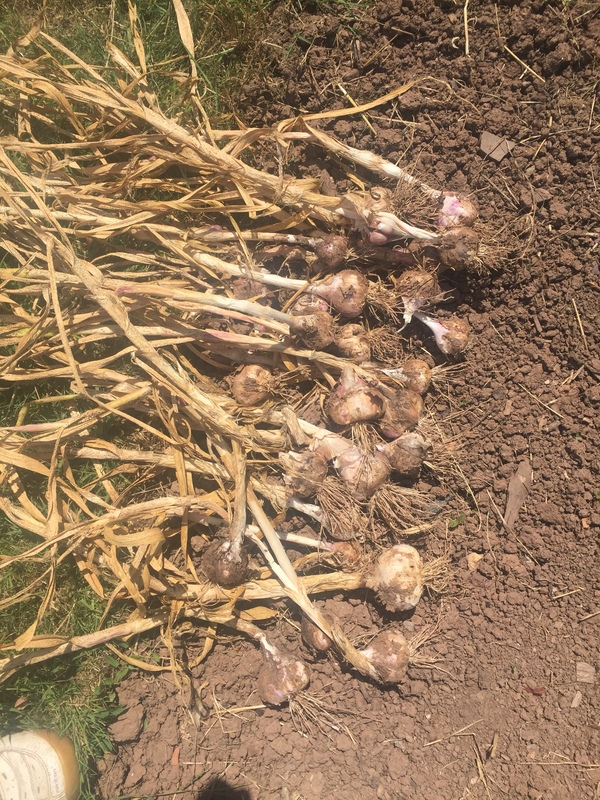 Here’s my first garlic harvest from the summer. They’re all strung up in the kitchen and will last right through the winter saving us money every week. 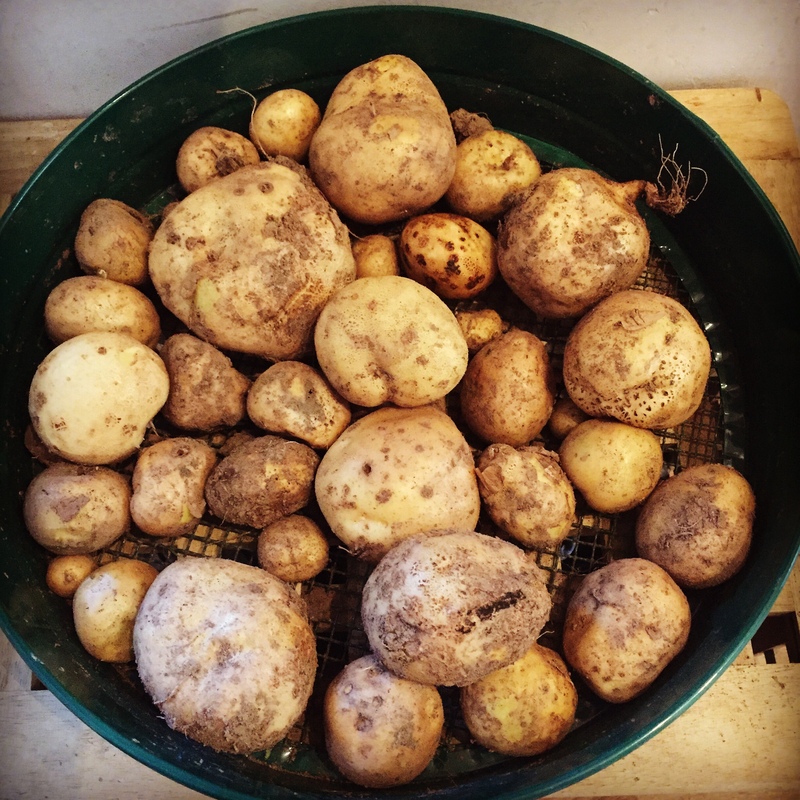 Having an allotment is also a super good value alternative to gym membership. My half plot here in Exeter is £35 a year. There’s always something to do from weeding to digging to mowing the grass and I can easily get carried away for a couple of hours at a time having a great workout without even realising that I’m doing exercise! 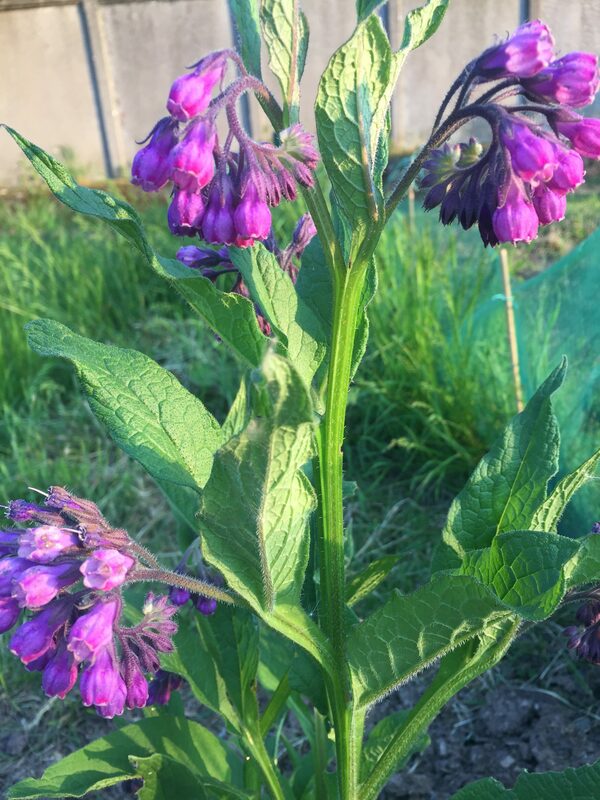 I’m learning new stuff all the time like how to make liquid compost by growing this comfrey above. And I’ve met some lovely people and joined the allotment committee. We’re doing a little coffee morning this weekend to bring plot holders together which of course will feature my vegan chocolate cake! 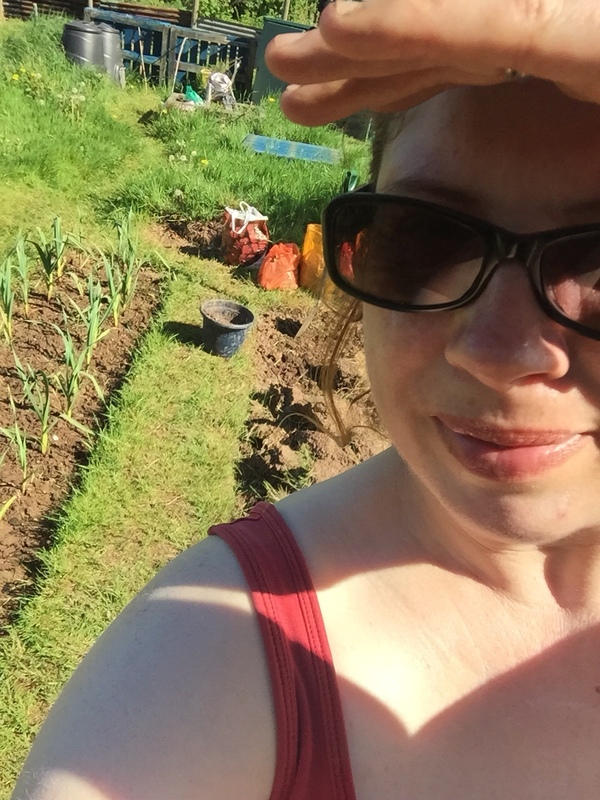 I’d love to hear from you if you have an allotment or love gardening (add a comment below). Don’t miss our vegan bargains and plantbased discounts in our Vegan Discount Directory.